Key patterns to try on any fast river. 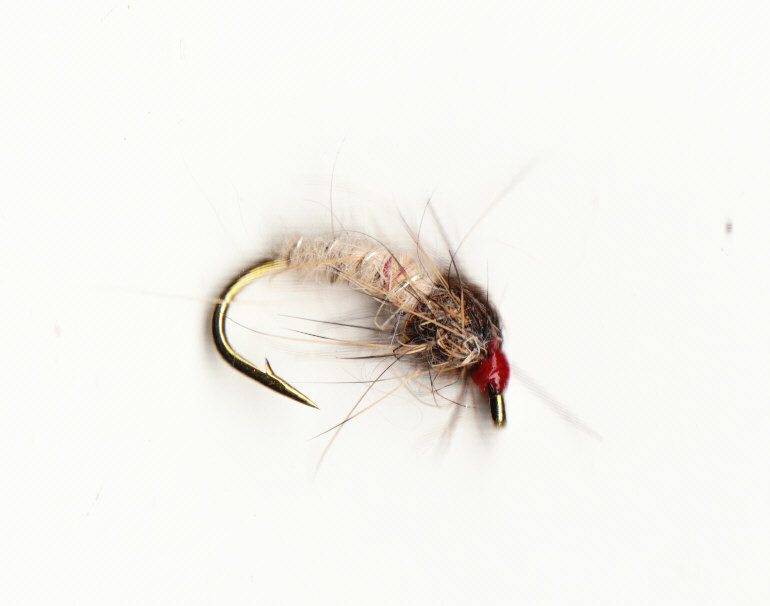 Sets of flies to tempt fish whether they are hugging the river bed or rising to late hatching duns. At the bottom of the page are some tyings to suit chalkstreams. Tied in different weights to make balanced teams of heavy nymphs. Tied with lead wire these are the still pretty heavy flies. These are smaller and lighter than the Czech Nymphs. Combine smaller tyings with larger patterns to give the fish a choice. The nymphs are hackled, Larva patterns are slimline and sink faster. 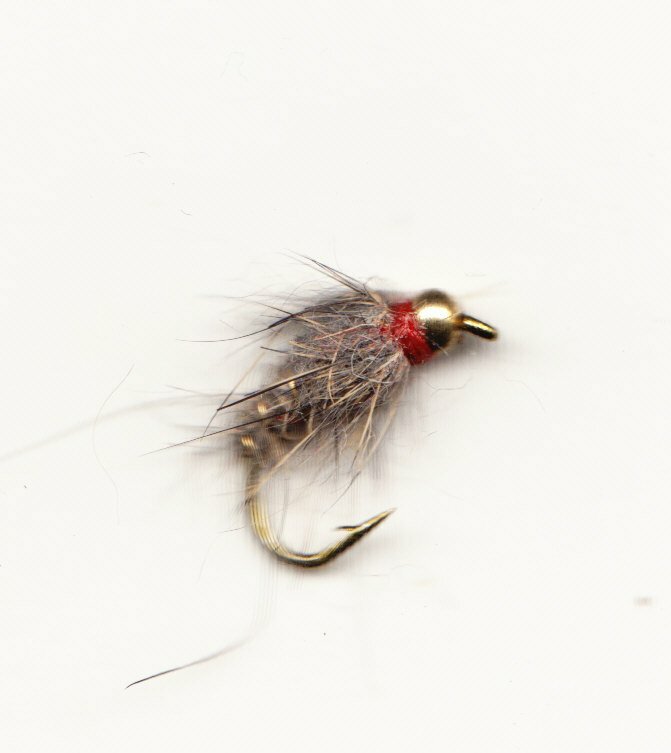 Now some flies to tempt rising Grayling. 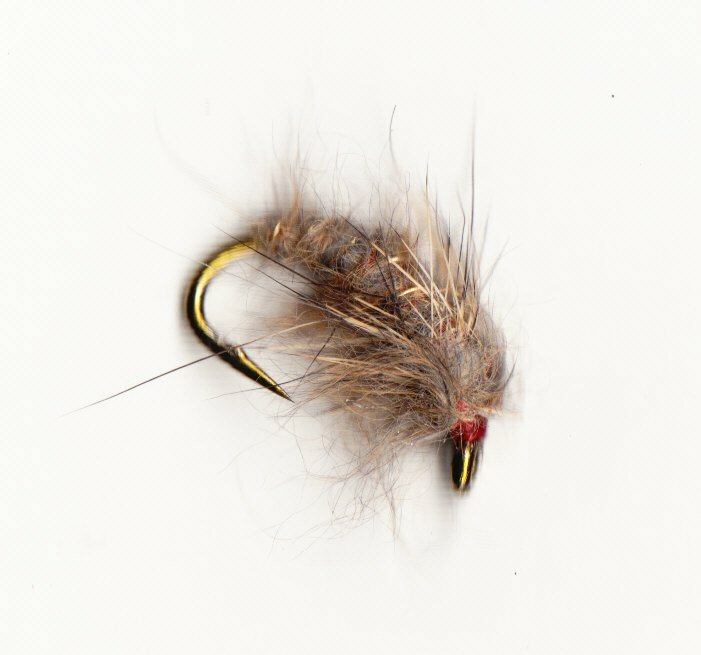 The 'F' Fly is first choice, it is especially effective at tempting fish taking small midges and duns. 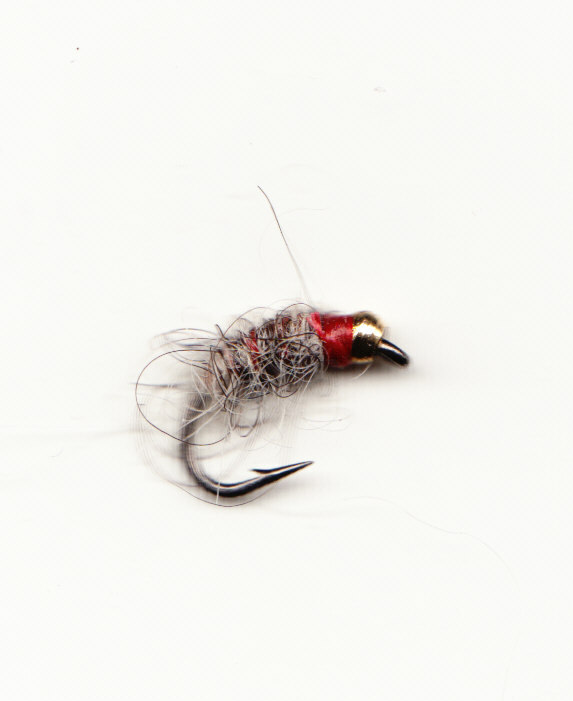 Tied in Natural dun and rust red, super for fast water. 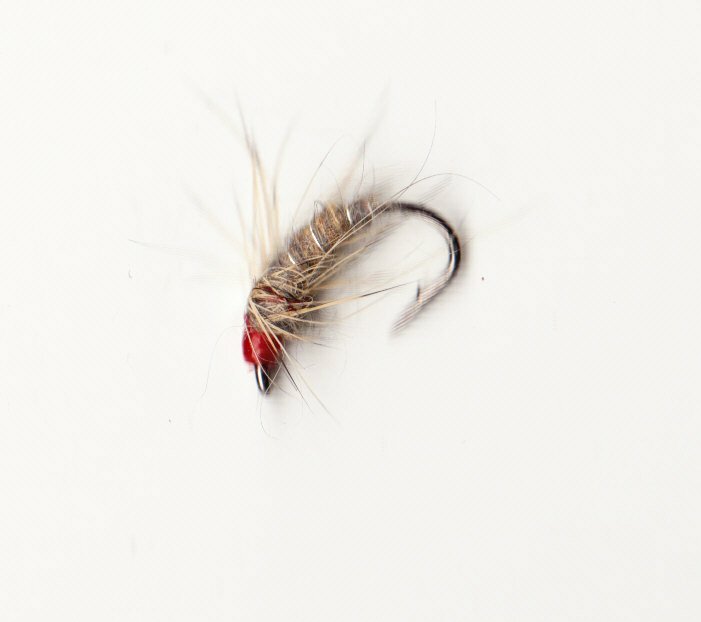 These are large floating flies that will bring fish up in fast water. Useful strike indicators as well. 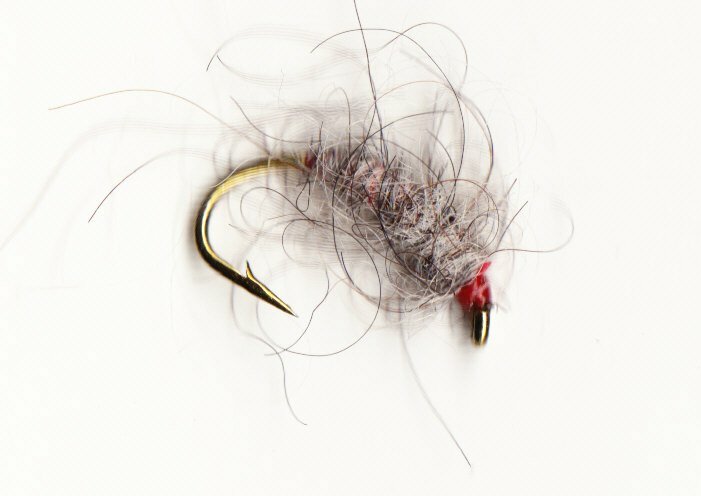 Traditional flies that are well worth a cast. The fish haven't changed. Also suitable for slower pools on fast rivers. Ideal to cast at rising fish as well as fishing to nymphing fish in deeper water. 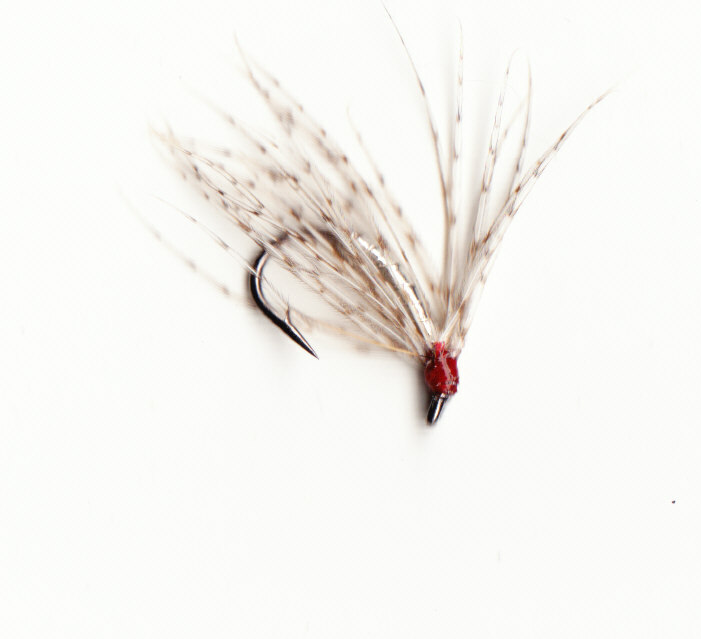 If the Pheasant Tails do not sink deep enough try these, weighted with lead wire they are heavier. Tied with a pearl flash back try these in coloured water.